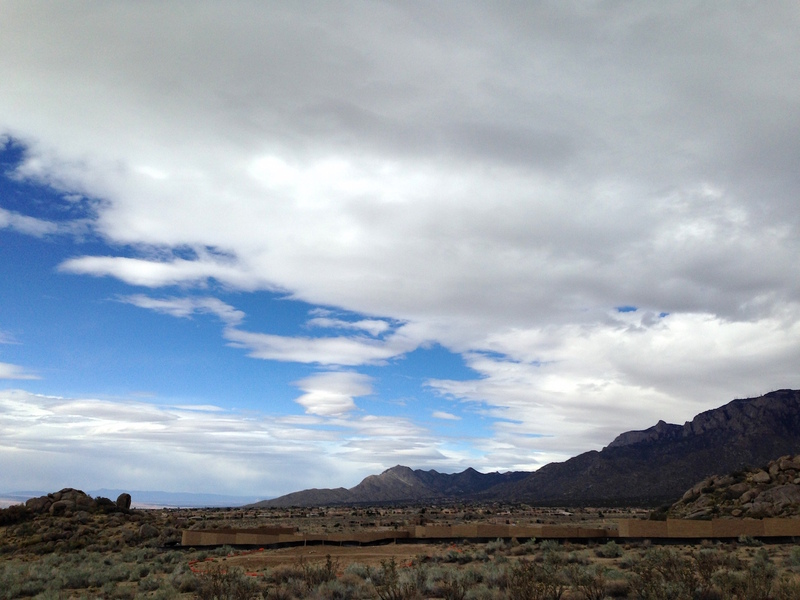 The clouds were creeping in over the Sandias come afternoon. Got the birthday ride in — did 63 kilometers, not miles, for anyone keeping score — and it looks like I picked the right day for it, because the weather seems to be taking a turn for the worse. I’ll be running tomorrow, if I get out at all. Anyway, pizza for dinner and a couple episodes of “Fargo” for dessert. It’s a weirdo, just like its daddy the Coen brothers movie of the same name. But you can’t go wrong with the likes of Billy Bob Thornton, Martin Freeman and Bob Odenkirk, y’know. Yah, real good now. This entry was posted on March 27, 2017 at 8:56 pm and is filed under Bike stuff, Milestones, TV. You can follow any responses to this entry through the RSS 2.0 feed. You can leave a response, or trackback from your own site. They did that Fargo TV thing up right, yup, yup. B Bob is one scary mofo. And speaking of scary – 63? Holy frijole, carnale! You’ve got one foot in the grave and the other on a banana peel, on a skateboard, on an icy pond – that’s melting! Oh, yah, you betcha. B-Bob brings the scary very nice. And watching Martin Freeman play against type has been interesting, too. More Gollum than Bilbo, to be sure. And yeah, 63? Who among us in the fabled Mombo Club-El Rancho Delux gang ever thought we’d make it this far? We certainly took our best shots at shuffling off this mortal coil. Now it looks like we’ll be playing shuffleboard at the Old Stoners’ Home. Feliz cumpleanos…y mas y mas. I love my Garmin. Lots of data to entertain me on the really long climbs! Thanks, Sharon. I don’t think I’ll be threatening your mileage stats anytime soon, but it was nice to be in the saddle for three hours. The body remembers. I have too many bikes to Garminize, alas. And I really do ride ’em all, too, except for the time trial bike, which, c’mon, seriously? I want people laughing at me for the right reasons. What I need is something like the old Avocet altimeter watch, which kinda-sorta let you know what your vertical gain was in your activity of choice. Lord, them wearables is ‘spensive, though. Happy Birthday. My lap around the sun ends this coming May with a 55k ride. I think I’ll wedge my new AARP card in the spokes just for fun. Gracias … I hope your 55km outing is as pleasant as my b-day ride was. I’m not big on the high-velocity plummet down Tramway — too many speeding autos nearby for comfort — but everything else was good. If you wedge your AARP card in the spokes you have to balance it out with an aaaoogah horn on the handlebar. Good on ya, PO’G! And Congrats on starting another upcoming year of excellence, fun, good friends, great Family, and cycling!! Mebbe some journo activities too? We certainly hope so. If you do go the Garmin route, please don’t become a Froomie watts counter! 🙂 Much better to enjoy the scenery IMHO. Word, JD. Where can I get some of those fork mounted star wheel odometers? That’s all I need. Never fear, JD. I like to look around while I’m riding, if only to gauge whether anyone/thing is trying to kill me. And I haven’t retired yet, so look for the usual nonsense in Bicycle Retailer and Industry News, Adventure Cycling, and of course here. Thanks, Carl. It’s about 33 more birthdays than I had anticipated. But I ain’t complaining. I never wanted one either. But then I did a long tour and was talked into how handy the mapping features would be on the trip. I can attest really good…plus you can watch your heart rate climb and hopefully stabilize as you head vertically! Tons of features to entertain you and it moves easily from one bike to another just like that…sorry for the commercial, but I’ve been totally converted after being world’s biggest skeptic for so long. I know, I know … we always think the old stuff is good enough until we lay hands on the new. Herself just upgraded from an iPhone 4 to the iPhone 7, and she was astonished at the difference. Sometimes newerer is betterer. Happy Birthday, PO’G! Mine was last week. I’m three years behind you. Thanks, Debby, and a belated happy b-day back atcha. All well in the Crestone-Boulder nexus? Happy Birthday, Patrick! Long may you reign, ride and run! Gracias, Libby. It’s reigning as we speak (rimshot). Buon compleanno! Spring sprung (briefly) in Iowa over the past two days so I took my good bike out for a couple hours yesterday, before the rains arrived. Today’s a good day for packing up our Eroica steeds and getting them shipped out to CA. As to electronic gizmos, we used to use the old Avocet altimeters, I’ve probably even got one around here ya can have for free, though you have to send ’em back to Avocet for batteries and who knows if they even service ’em anymore? Garmins I simply detest, but for years I thought it was just me until I read on a cycling forum how much others hate ’em as well. A client well-versed in GPS once told me Garmin succeeds not by being good, but because the other products on the market are even worse! How soon before the Greasy Orange Turd in the White House starts using that idea to prop up his regime? Regime being the operative word in your last sentence. Time for regime change?